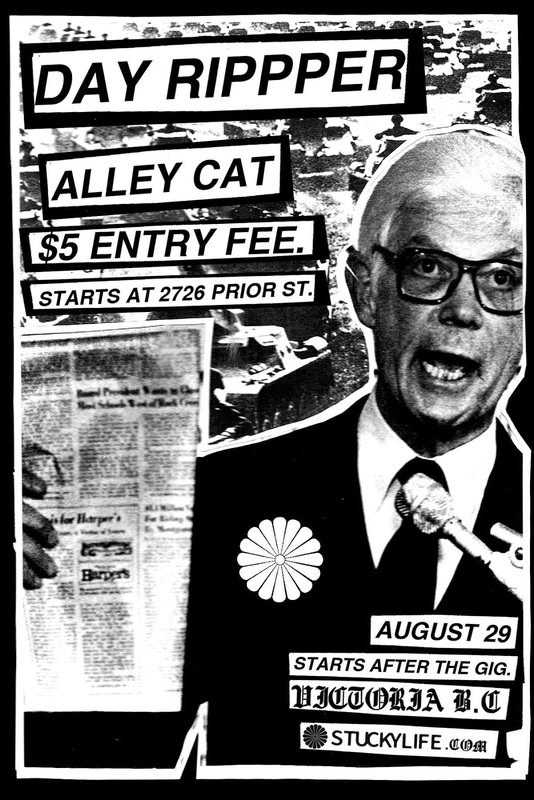 Montreal's finest: Vile Intent, are playing 2 shows in Victoria on Saturday, so we're throwing an alleycat in between. Race will start at the end of first show (4:20ish - 2726 Prior Street) and finish before the start of the second show. It'll be short and fast (it's, like, the theme), fun and mostly downtown. Meet some new people, see some cool bands, and have a way funner Saturday than you were going to have, k? whatever you need to feel safe. As usual, everyone and all bikes are welcome and encouraged. Small time penalty for visible lycra. Shows are all-ages, safe and inclusive so don't be a jerk (I know its hard). FREE ENTRY FOR FIRST-TIME RACERS OR IF YOU TAKE A FERRY TO GET HERE!